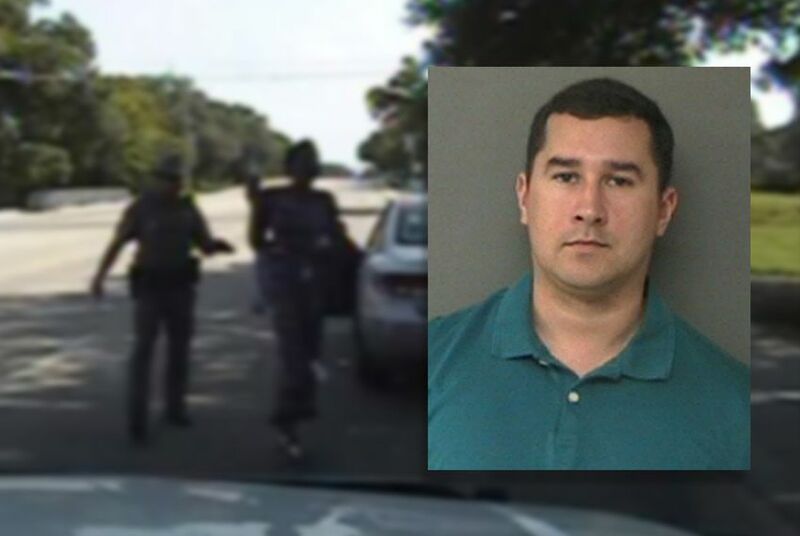 A federal judge on Thursday said attorneys for fired Texas Department of Public Safety trooper Brian Encinia haven't yet offered a good enough reason to keep a civil rights lawsuit filed by the mother of Sandra Bland from moving forward. A federal judge on Thursday ordered attorneys for fired Texas Department of Public Safety trooper Brian Encinia to present a better reason than they had previously offered to keep a civil rights lawsuit filed by the mother of Sandra Bland from moving forward. U.S. Judge David Hittner's told state attorneys they have 14 days to come up with more relevant case law to support their request on behalf of Encinia, who arrested Bland on July 10 following a traffic stop. Bland was found hanged three days later in the Waller County Jail. Encinia is one of several defendants in the civil rights lawsuit which was filed last year by Bland's mother Geneva Reed-Veal. After he was indicted Jan. 6 on a misdemeanor charge that he lied in his police report, lawyers with the Texas Attorney General's office asked Hittner to halt the suit until after the former trooper's criminal proceedings are completed. The Texas Attorney General's office, which represents Encinia, argued that Encina would not get a fair trial if the lawsuit, which names him and more than a dozen other defendants, is allowed to proceed. The misdemeanor perjury charge stems from Encinia's report that stated he had Bland exit her vehicle to further conduct a safe traffic accident. Dashboard camera video of the stop showed that Encinia repeatedly threatened Bland to get out of the car or risk being subjected to a Taser. The federal civil rights lawsuit filed by Bland's mother, Geneva Reed-Veal, originally named Encinia, DPS, Waller County and two of the county's jailers as defendants. Earlier this year, the lawsuit was expanded to include 10 Waller County officials and DPS was removed from the lawsuit. "Unless they can give viable reasons, we should be allowed to proceed," said Cannon Lambert, attorney for Reed-Veal. Correction: An earlier version of this story incorrectly reported that the Texas Department of Public Safety was still part of a civil rights lawsuit related to Sandra Bland's arrest and death. The agency was named as a defendant last year but dropped from the suit in January.